Esta mascota se consigue de las cartas "loot" del wow tcg ,(juego de cartas), más concretamente, de la expansión Guerras de los ancianos. Esta mascota se obtiene del mazo de cartas de World of Warcraft "La guerra de los Aspectos"
This pet will be released as the common loot from the WoW TCG Expansion "War of the Ancients". The official release date is October 2nd 2012. Based off the warlock spell Eye of Kilrogg. Latest information and screenshots can be found at http://www.wowtcgloot.com/eye_of_the_legion.htm. I had hoped for some interaction with critters like Willy or Lil' KT do, a laser or a fel flame burning up said critter. But as of the moment the Eye of the Legion does not interact with any source that I've tested on. 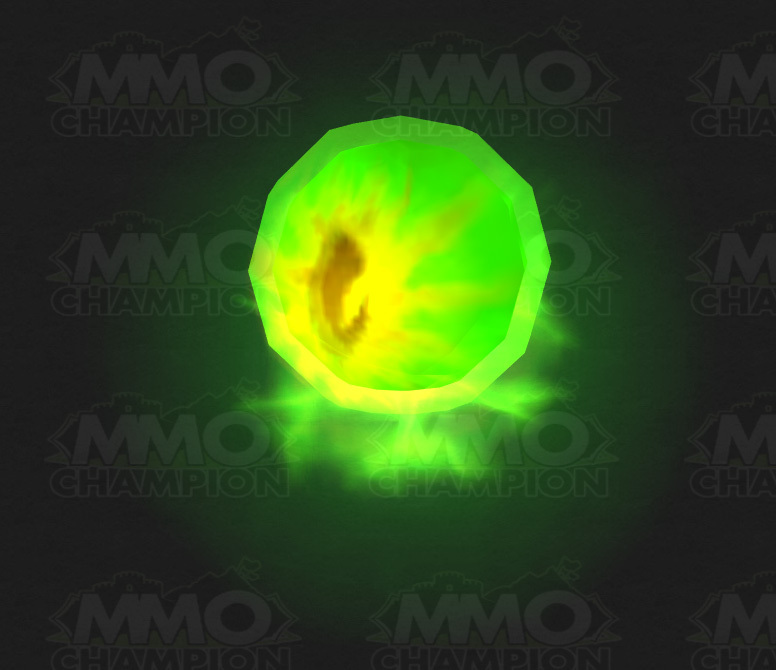 It basically looks like a smaller version of the Eye of Kil'rogg warlocks can summon, it will fly with you if you lift off on your flying mount but will not zone with you as I've tested on the zeppelin from Undercity to Orgrimmar. You can rename your pets but some names are reserved. You can't name this pet "Ojo de Kilrogg". The word "Kilrogg" seems reserved. This pet is a very common pet from the loot cards War of the Ancients. It can be traded if you use the pet and than cage it, considering the fact that it's a common pet it's mostly worth more to keep it than sell it, or give it to a friend. This Eye is the smallest of the Eyes. Being a little less then half the size of the Arcane Eye and around five times smaller then the Darkmoon Eye.